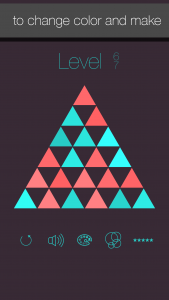 In our iOS puzzle game Triangle Flip you swipe over the triangles to flip them over and change their color. But you can only flip whole rows of triangles (not single triangles). Make all triangles the same color to complete a level! This fun and entertaining casual board game for iPhone and iPad is easy to learn, but will give you headaches as the number of triangles keeps growing and the levels become more complicated. Get our beautiful iOS Puzzle Game! 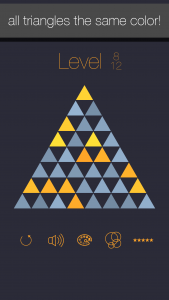 Our minimalist puzzle game for iPhone and iPad is all about triangles. It all starts with 6 triangles, and those triangles are forming a bigger triangle. 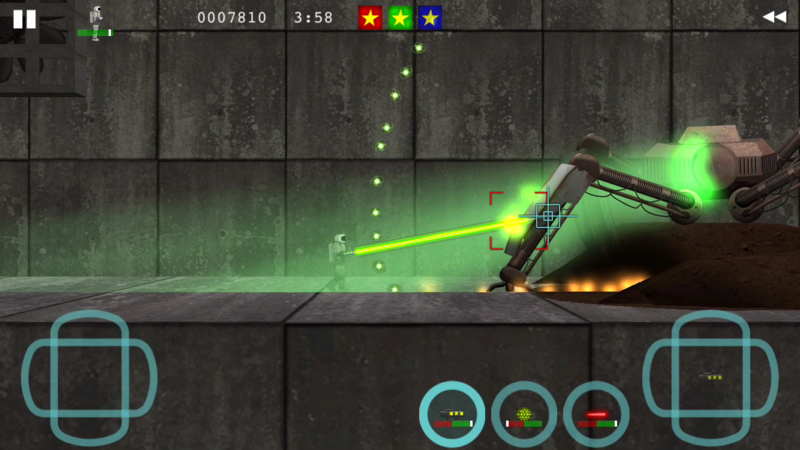 The player’s goal is to make all triangles the same color by flipping over whole rows of triangles. 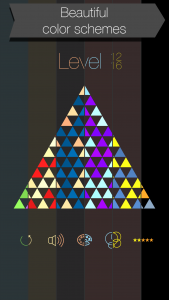 This is really easy in the first levels, but in the final levels there are more than 200 triangles – that’s only something for true Triangle Flip Champions! The user interface couldn’t be any simpler. 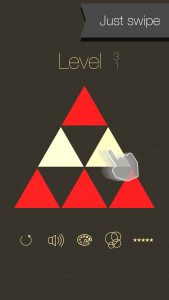 You only need simple swiping gestures that are so intuitive and feel so natural – it makes playing Triangle Flip so much fun! This makes it a great game for kids, too! Triangle Flip is minimalist and stylish. It looks gorgeous on your iPhone and even more so on your iPad. We even added various beautiful color schemes, which will help people with color vision deficiency. And they all make Triangle Flip look just stunningly beautiful! Your progress is synced using iCloud, so you can play a few levels on your iPhone on the bus and continue playing right there at home when you pick up your iPad. And of course we support iOS Game Center: this way you can compare your progress to that of your friends or Triangle Flippers across the whole world! Check out our preview video on YouTube! Triangle Flip is available on the App Store in most countries around the world! It is currently free and ad-supported. So don’t wait … get it now! For more details, go to the App Store page or check out our Press Kit!